Generally clear. Low around 55F. Winds SSE at 10 to 15 mph..
Generally clear. Low around 55F. Winds SSE at 10 to 15 mph. Abraham Lincoln High School Varsity Cheerleaders display the trophy, banner and medals they won at the National Cheerleaders Association Senior & Junior High School National Championship Jan. 27, 2019 in Dallas. The team is coached by Nikki McIntosh and Savannah Williams, with Lisa Shanks serving as adviser. 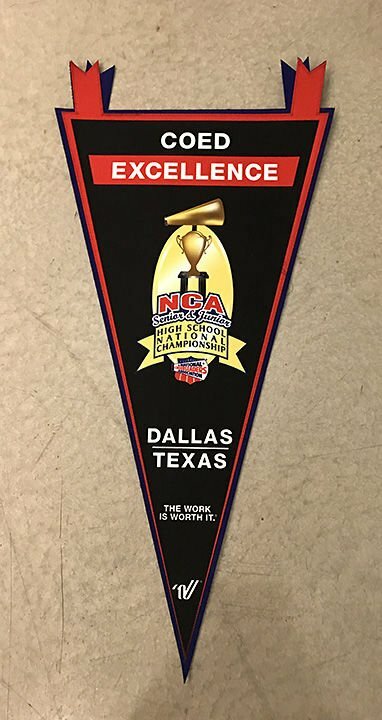 In addition to the second-place trophy, the Abraham Lincoln High School Cheerleading team won a banner for Coed Excellence. 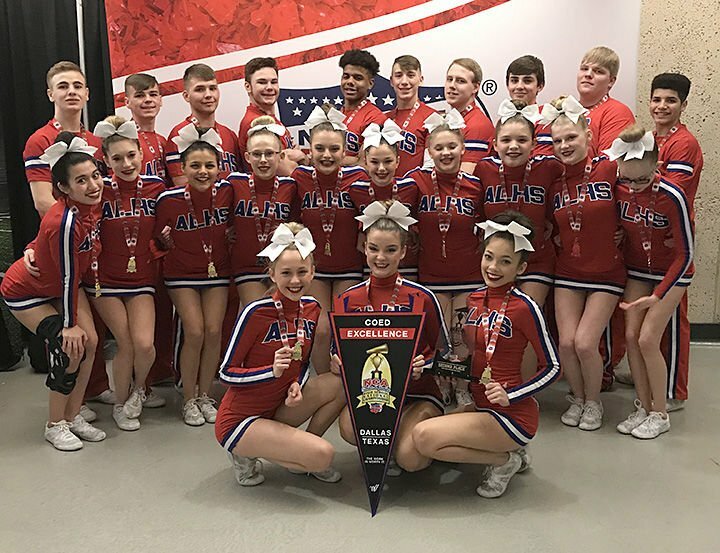 On its first trip to the National Cheerleaders Association Senior & Junior High National Championship in Dallas Jan. 26-27, the Abraham Lincoln High School Cheerleading Squad won second place in the Large Coed Advanced Division. The Abraham Lincoln High School Varsity Cheerleaders won second place in their division at the National Cheerleaders Association’s Senior and Junior High School National Championship last weekend in Dallas. The team was first runner-up in the Large Co-ed Advanced Division, trailing only Owasso, Oklahoma, which placed second last year, according to co-coach Nikki McIntosh. On its first trip to nationals, the squad battled nerves on the first day of the two-day competition but improved its rank with its amped-up Sunday performance, which counted for 75 percent of its final score, McIntosh said. The group won a second-place trophy, and each team member received a Silver Medal. The team, made up of 12 girls and 12 boys, also won a specialty award for Co-ed Excellence, she said, for which it received a banner. It was the only team with an equal number of boys and girls.